When we travel we constantly search for authentic experiences, for routes off the beaten path and places that are not in any guidebook. The reality is that there are no such places. The world has been conquered, and travelers and explorers have been everywhere. So we will not be the first one. Nowhere. Besides knowing this, we try it again, every time. 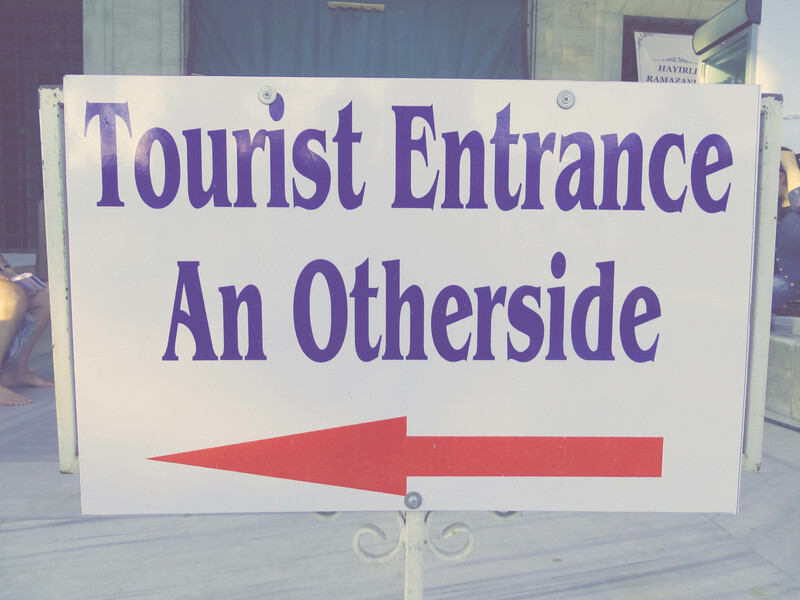 But how can a place declared in a guidebook as “off the beaten path” really be? And can we really believe travel blogs that write that their stories are “not in any guidebook”? I only came to question these concepts when I was travelling in a lovely Asian country two years ago and I started thinking what “off the beaten path” and “authenticity” really mean to me. During this two week trip, we basically travelled along the most common route, with the most common guide book available. And despite my love for travel, the trip annoyed me somewhat. By the end of the trip I came into questioning how we travel in general and how I could travel in different ways. It’s fascinating how we read in our guidebooks that there is an “authentic dance performance”, but as soon as we attend we realize that it’s staged and we wish we had not come there. Actually, tour operators have reacted to the growing demand in “authentic travel experiences” and “meeting the locals” with corresponding products1. Authenticity? But what then, is authenticity and where do we find places that are off the beaten path and not in any guidebook? Obviously, there is no universal answer, but I do have one idea. “Off the beaten path” does not mean a place where nobody goes or nobody has been to, but looking at or travelling to a place in a different way than everyone else. It is about the way we travel and what meaning we find in it, not necessarily about a physical place being “off the beaten path”. I do not think that any guidebook can promise an “authentic experience”, otherwise it would probably not be in the guide book in the first place. The only times that I encountered authentic experiences where either living in a country and having established an every day routine or when visiting friends in their home country and participating in their family celebrations and experiencing their culture first handed. On this trip to Asia two years ago I realized that I would like to travel differently. My next dream-travel project is a trip guided by my great-great grandfather. He travelled to Bozeman, Montana from 1880 to1882 and kept a journal of his experiences. Luckily, my grandmother transcribed the handwritten (in Sütterlin-writing!) journal for us children and grandchildren to read. His fascinating trip inspired me to travel along the same route, from Barmen to Bozeman. On his route are some of the most iconic US tourism attractions, such as New York City, the Niagara Falls, Chicago, Salt Lake City and the Yellowstone National Park, just to name a few. However, the setup of the trip and the unique “guidebook” will make the trip (at least for me) “off the beaten path”, even when walking through New York City. I would love to hear other opinions on “authentic travel”, “off the beaten-path” and “not in any guidebook”and what you have experienced. 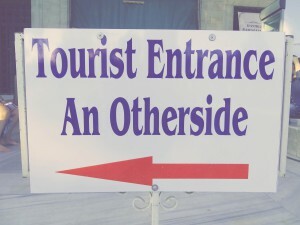 This entry was posted in Travel, Uncategorized and tagged Authenticity. Bookmark the permalink.